Lately it seems I have had an abundance of mother’s trying to get their daughter’s to leave someone they believe to be a narcissist. I have a post on what to do and what not to do if you know someone in an abusive relationship but I don’t talk about what you can do to make them leave; mainly because I don’t think you CAN make a person leave a narcissist. Leaving is a decision the victim has to come to on their own, unfortunately most victims don’t leave, the narcissist leaves them and they are devastated and have exhausted all their resources long before the split. 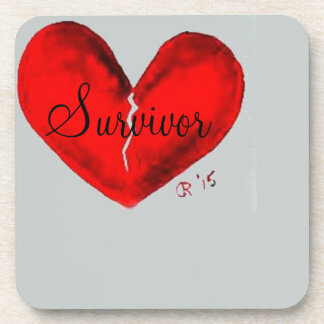 Part of the reason you can’t make a victim leave their abuser is because; even if they come to you crying about how the abuser treats them, or heart broken that the narcissist hasn’t called in a week, or wants to end it, or did something else to break the victim’s heart; the minute they talk to the narcissist he gets them so confused about what happened, they end up staying. I remember making bargains with myself; OK, so he has personal ads on the net, he says nothing is going on and he would never actually meet them. I can rationalize that to myself. Really, he is looking for Russian Brides, how likely is it that he is going to actually send for a Russian bride? He is just doing it because he wants to make sure that if I screw around on him like all the other women he has been with, he still has “it” and could get another woman. I told myself that if I ever discover he is actually dating another woman or has an ad looking for local women, THEN I would have just cause to leave and it would be easier for me to leave. I would have “proof”. But then I found his local personal ad and he had like a dozen women on the go at once. That was it!! it was over, I confronted him and he denied it all. Didn’t remember placing the ad, didn’t remember talking to all those women. I started to believe maybe he did these things in his sleep, maybe he was doing crazy drugs, maybe he had a brain tumor! I would read the emails he sent to these women and I would want to date him too, he was so infatuated with them, so romantic, making them promise to look at the moon at a certain time so they could be looking at the moon together and for her to imagine him sliding his arms around her. Asking her to wait for him like he was waiting for her. Saying how he had a “gut” feeling the minute they talked and he always follows his gut feelings. The same line he used on all of them. They were all “special”. I would be furious and declare “that was it!” I was out of there, he would storm out, I would cry all day (Oh my God, how many days did I waste crying all day and sitting on the internet searching for more evidence?) I would talk to friends and swear that this time it was over. This time he had gone too far, I could never trust him again and I deserved better. I would tell him I deserved better. My friends would agree with me, or they would laugh and say “Yeah right it’s over, you’ll be back together by tonight, tomorrow at the latest.” I would swear, not this time and it always went the same way, he would show up where I was, he would call and ask me if I had eaten, he would just show up and act like nothing had happened or my truck would break down and I would call him to come rescue me. He would be so loving, I would doubt my own recollection of what I had found. If I would stop being so suspicious, jealous, angry, depressed, crying all the time, fill in the blank. I am only going to stay until I get through school, the kids are older, I have enough money to leave and pay rent, he pays me back what he owes me, fill in the blank. He only treats me badly, not the kids and they need their father in their life, the kids are fine. He needs me, I can fix him with my special love. I know what he is now and I don’t let him get to me. What lies did you tell yourself? The longer a victim is in the relationship the less likely they are to leave because they lose themselves and they get further out of touch with reality. They isolate themselves from their family and friends because they start to feel out of place every where they go. With other couples they know their relationship is so dysfunctional by comparison, with family they are afraid everyone will pick up on how dysfunctional the relationship is or they are afraid the Narcissist will do something to embarrass them, make them look bad, get angry over something and of course they stop making plans because the narcissist usually finds a way of ruining any plans anyway. Lately I have had mother’s emailing me privately begging for help getting their daughters away from a narcissist and I really don’t know what to tell them. Barring kidnapping the victim and locking them up in a room until the brainwashing and conditioning wears off, I don’t know what they can do. Years ago the news was full of stories about parents kidnapping their children away from cults, I suppose it still goes on and that is the only thing I can compare it to. It is not a very realistic solution to the problem when your child is an adult. You could try an intervention of friends and family where you go as a united force and try to make her face reality but they will probably tell you what you want to hear just to shut you up and it will only drive them further into isolation and alienate you. What lies did your narc tell you? The person who is trying to get the victim to leave the narcissist has to realize that the narcissist is playing them like a puppet and getting off on your efforts to save the victim. Narcissists love drama!, love conflict, (as much as they say they hate it and use it as an excuse to walk away), they love that you help them confuse the victim, they love that they can destroy all the common sense and confidence you instilled, they love that you are losing sleep over the fact that he has so much control over your loved one. The harder you try to break them up the harder he will try to keep her, so he is less likely to let his mask drop again, at least until he thinks he has destroyed the relationship between you and her. He is not going to give your arguments credence. Also the harder you try to prove to her that she is wrong and you are right the tighter she will hang on and want to prove she isn’t wrong. I used to tell my ex that I didn’t understand why he and my mother didn’t get along because they both thought I was crazy and it was all my fault. The only difference between the two of them was she wanted me to leave and he wanted me to stay but they both were saying the same thing; there was something horribly wrong with me. My mom had always thought something was wrong with me, I am sure she still does; she does not understand why I am so sensitive, can spend days alone and be perfectly happy, why I feel driven to leave the world a better place because I was here. It doesn’t make me right either; it makes us different. Most of us do our best as parents, children don’t come with a User Manual, most of us were raised by imperfect people, and we all screw up; the most we can hope for is that we don’t screw up our kids too bad. If we do screw up (and what they consider screwing up and what we consider screwing up could be totally different things) admitting we were wrong, acknowledging their feelings and apologizing goes a long way. Appreciate our children are different from us, it doesn’t make them wrong or us wrong, they are not meant to be “mini-me’s” they are unique individuals in their own right. They may not care about social standing and prefer the company of dogs to people, that doesn’t make they weird or flawed in some way. There would be a whole lot less potential victims of the narcissists in the world if people were confident about who they are and living true to their core selves. But, you know they are in danger now! and you want to save them! you don’t want to lose them, you are scared, really scared, panicked even, it is consuming you, you can’t sleep, eat, or think about anything other than getting your daughter away from this man. What can you do?? As hard as it is, the only thing you can do is arm them with information, if they don’t know about narcissists, give them website links, the phone numbers of shelters and support groups, tell them you love them, you are there for them, and you don’t blame them, that they can have a happy future without the narcissist and you will help them. But reserve the character analysis of the narcissist because it will make the victim defensive and protective of the narcissist. She will feel guilt about talking behind his back, regret telling you anything and it could put a wall between the two of you. Drop the subject when you talk to her except if she brings it up, do not cut her out of your life and family functions, make sure he is invited also so she doesn’t feel she has to choose between you and him; DO NOT GIVE HIM WHAT HE WANTS, TOTAL CONTROL! If he is invited and chooses not to attend, then it falls squarely on his shoulders and she can’t blame you for him not going. By protecting her you are actually assisting him. A caring mother of a victim is a victim herself and in order to heal you must pull away from the toxicity of their relationship, in order to stay strong and healthy yourself so later you can help her. You must carry on with your life and your hobbies and friends, you need your friends more now than ever, don’t let her narcissistic relationship destroy your life, marriage, health. You have to have a normal healthy life so she can see that the narcissist is NOT all powerful and all encompassing. Keep the lines of communication open – that means calling often to check on her without talking about the N, stop making it all about the narcissist and more about her. How is she doing, take her for lunch and don’t bring up the N unless she wants to talk about it. I know it is hard but you have to back off from trying to prove to her that she should leave. Arm her with information and help her come up with a safety plan- it does not have to be a plan to leave, just a plan to stay safe. Never let her feel she is wrong for loving him, or sick, or weak, or co-dependent. Be prepared for the day she does leave and be there! If she does leave don’t expect her to “just get over it”, be happy he is out of her life or any other unrealistic expectations about how she should be feeling. Get her counselling, don’t let her be all alone, be supportive, listen, help with the kids, cook for her, just sit there with her while she cries. What was the catalyst to me leaving? It was when my ex’s sister came to live with us. First it was his son and then his sister, but for the first time in almost 10 years I had witnesses to the abuse, it was not just me telling about the abuse and someone agreeing with me. His sister witnessed it, stepped in at times, and couldn’t believe I was not more upset about things he did (I had shut off my feelings) and it made me realize I was not crazy, over reacting or imagining things. She also told me he was eventually going to kill me and I knew she was right. She also stopped talking to him because he had hurt her and I thought if she can cut him out of her life so can I. Once we were split she was there for me. She came to stay with me for a few days whenever I had a panic attack, she reminded me of all the crazy things he did and having her there helped me to not weaken and call him. She came several times in that first year. What was your catalyst to leaving the narcissist? What do you wish someone would have done for you? what would have made you leave the narcissist sooner? Every lie…I told myself everylie on that list. Every damn one. In the last 5 years I have been beaten and kicked by my narcissist husband but was always too ashamed to admit this to friends. About 15 months ago I needed a friend to help me get to hospital with a fractured cheekbone. I wouldn’t press charges and of course over the following weeks the bruises healed and the memory faded and I started to believe he really did love me again…much to the exasperation of my friends. A fractured arm and a beating with a metal bar saw me in hospital again earlier this year. I was reluctant to tell anyone other than 2 close friends …I had to, I was in plaster for 6 weeks….again time heals and we are still together. My friends although concerned try to tell me how foolish I am and constantly remind me of the violence particularly when I don’t feel ready to talk. I started avoiding confiding in them as I felt I was being judged. I’m making plans to leave now and hope to moving into a new secret place in the next 2 weeks. I could really use some friends now but worry about the judgement/disbelief. I guess my point is….there is NO way to convince someone to leave a narcissist and the best you can hope for is that they will eventually see the light and let them know that they will have your support no matter what decisions they make. If she needs a safe place to go at 4am one morning make sure she knows she can come to you…it could be the difference between life and death. I left my covert narc husband after a discussion with my sister in law ( married to his brother ) . I was relating a conversation to her that we had had and she said , horrified ‘ wow if ‘name’ ( her husband ) said that to me I’d be devestaed . ‘ and I thought yeah , why aren’t I devestated ? This was after 3 years in an unconsummated marriage mind you. If I ever made mention of leaving he’d stop taking his insulin and be in intensive care hospital within 32 hours so , very hard to leave a dying man in his darkest hour right ? But this went on and on . Road rage – almost ran over a man and would have blamed me but I was not in the car at the time . Truely a living hell.